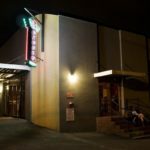 Motorco Music Hall is an entertainment and events space in Durham, North Carolina. Motorco consists of a large, state of the art Showroom, a GarageBar, small Bay5 “party” space and a large outdoor patio. We have full NC Liquor licenses and have a wide variety of beers, liquors, wines and specialty cocktails (fresh squeezed juices!). We are within short walking distance to the restaurants and bars of Downtown, but located in the Central Park district which is also home to Man Bites Dog Theatre, Geer Street Garden, the recently renovated Durham Athletic Park (former home of the Bulls baseball team), the skatepark, farmer’s market and across the street from FullSteam brewery.